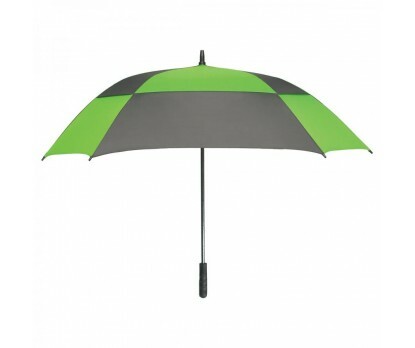 Personalized lime green & gray 60” arc square umbrellas are very popular amongst marketers because they know that it is best bet for investment. This umbrella possesses impressive color profile and can serve longer than usual due to its special features, which can withstand harsh weather conditions with ease. 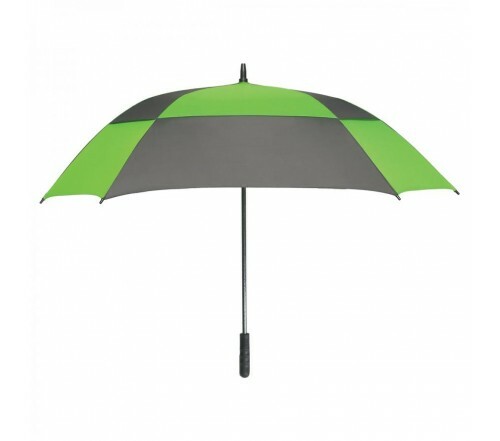 This auto- open anti-wind umbrella features - anti-wind square lime green & gray 60” arc canopy to resist inversion, sturdy fiberglass ribs, and fiberglass shafts with rubber handle and nylon/mesh case with elastic bungee cord-lock closure.